What’s a dynamic dune? 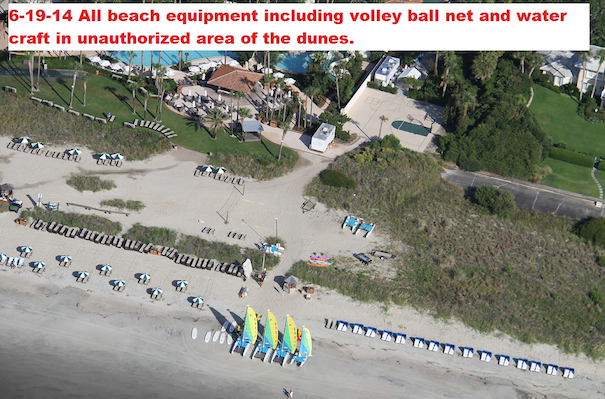 It’s a reference that was changed to just “dunes” in the law, perhaps because it left too many people confused. Or perhaps the idea that dunes change and move was upsetting to people who want their environment to stay the same. 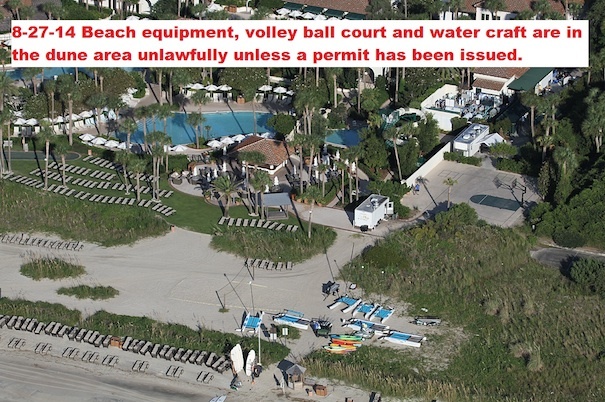 In any event, it’s hard to deny that the purveyors of entertainment on Sea Island, Georgia, are bound and determined to “fix” their venue, even though it means breaking the law to do so. Pictures don’t lie. 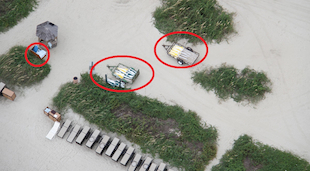 All summer long the toys have languished in the dunes, forgotten and unused. It’s almost sad. So many toys and so few people to play with them! 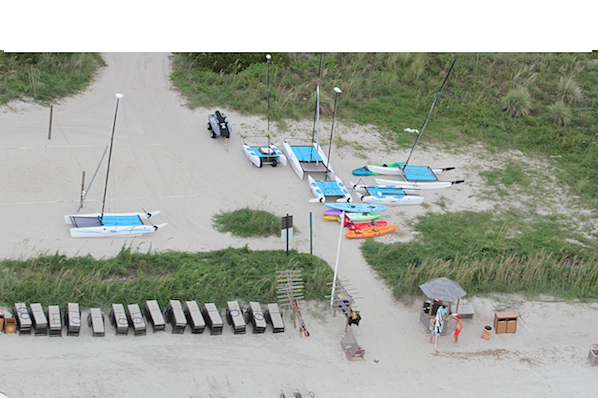 Perhaps the fact that Sea Island Acquistions charges $75 a day just to walk on the beach to people staying at their off-island Inn has something to do with it. After all, the beach belongs to the public, why should we pay just to walk on it? Talk about trying to convert a public good into private profit! James Holland, our Altamaha Riverkeeper, Emeritus is of a legalistic bent and qualifies his objections with “unless a permit has been issued.” I’m more inclined to insist that, however neatly arranged, clutter has no place on the beach. What he found in June was there in August, too. Maybe each chaise and each umbrella should pay a fine of $10 a day. So, we’ve got a cesspool in the dunes and clutter on the shore. How much lower can Sea Island go? Not far. After all, the local politicians already abandoned all the streets and lanes and public rights of way in 2004 because they served no useful purpose. Safe and secure and static. That’s how the predators like things. Shall we withhold judgement because the residents have assented to the sequester? Like the Dew has augmented this post with a dynamic slide show. Check it out. This entry was posted in Down the drain, James Holland Photography on September 10, 2014 by hannah.